bbp had the most liked content! His defensive game just jumped in the playoffs. Hes so much more active than he was during the season. Could be just the hype from being hot but it shows hes capable of it. Skating is not a concern for Lavoie. Even if this strong backchecking is a mirage. Edit: I was reallypro McCarron mainly because I saw him score two hatties in the ahl live.... Lavoie is a 100% different/better player. Saw Ducharme at the Drumonville-Halifax game tonight. Ex drumondville coach so not sure how much scouting he'll be doing... but I hope the habs are watching Lavoie's playoff run. By god if he slips to 15... he has been insane (been to half Halifax's playoff games). His goal scoring has been getting most the attention in the playoffs but his two way game looks incredible this run. He disrupts so much with his reach. Especially given our current young d in Mete, Juulsen, Brock and Romanov + maybe Fleury. Not all will pan out but there is pedigree at this position. 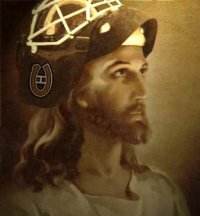 Even with his defensive issues I think Edmonton would be foolish not to trade for him. He'd be the fourth 5th highest scoring forward even though he's only played 23 games... 650k salary and an RFA... not sure why they wouldn't pull the trigger. Hitch might Ty Rattie him... but he'd be better than some of those guys they are running atm. I just want everyone removed who thought a dcore without any puck movers... was something you can do. If that was Berg, Julien, assistants w/e want anyone who thought that out. They blatently showed they are out of touch with the modern game. Get a pick Neimi/Montoya are a wash w/e. Not sure how anyone can say habs fans are overreacting. we have no transition dmen at all. Probably the slowest and worst Puck Handling score of any potential playoff team. In what world is this a situation we can win with? We have a limited window before our prospect puddle means we have to full rebuild. I am on the fire Bergevin train after this one. 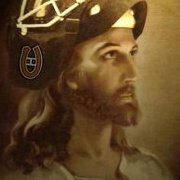 Team had a massive weakness in transition (major reason why our offense was dogshit) now we have absolutely no defenseman who can fill that role for more than 15 minutes a night? Guys who either cant stay healthy or in the lineup? Great. Is Schlemko going to be leading our breakout? Streit? Good lord help us if they for check we are done :)) Hears hoping Davidson turns into a God. Because team Canada knew the trade was coming and wanted to add fuel to the fire. Obviously. Glad we don't have to see Johnston again. He was horrible even at the AHL games I watched. Not only first round picks. 1st and 2nds post McD/Patches/Subban draft Danny Kristo Bust Traded Louis LeBlanc Bust Traded Jared Tinordi Bust Traded Nathan Beaulieu Traded for 3rd Sebastien Collberg probably Bust but Traded in Vanek deal to nyi Dalton Thrower Bust in echl Jacob Dela Rose max a 4th line grinder Zach Fucale played most of last season in echl Sergachev Traded Still hope for Michael McCarron probably a 3c but could be a 2c if Jesus helps Mikhail Sherbak kid does look sick Noah Juulsen people like On Montreal Galchenyuk for now Arrthuri Lehkonen looks good as a 2nd liner Since Lefebvre took over the AHL team (with Beaulieu gone) we have NO players who have made the transition. Our only two prospects since the 08 draft both skipped/ignored AHL.